Ocrevus/Ocrelizumab Cost, Side effects, Dosage, Uses for Multiple Sclerosis. The FDA granted approval of Ocrevus to Genentech, Inc. US FDA approved Ocrevus that contains active pharmaceutical ingredient ocrelizumab ( monoclonal antibody) for the treatment episodal or recurring form of multiple sclerosis in adult patients. This is first drug approved for primary progressive multiple sclerosis by US FDA. This drug is administered in parenteral dosage form under the supervision of medically trained professional. Multiple sclerosis (MS) is a kind of neuro-degenerative disease in which demyelination of nerve cells occurs. This damage imparts long lasting effects and impairs co-ordination system. 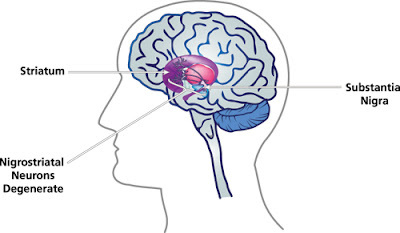 Common manifestations of multiple sclerosis are vision disturbance, deceased muscle tone, difficulty in body movements, impaired sensation etc. 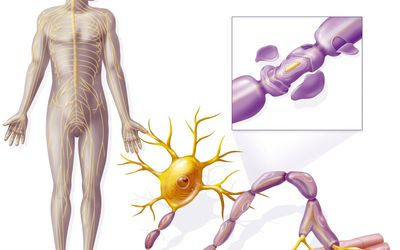 The exact etiological cause of multiple sclerosis is still unknown to somehow but many researchers believed that auto-immune disorders, impaired myelination, genetic predisposition and viral infections act as triggering factors in the pathogenesis of multiple sclerosis. There is no single magic bullet that can cure multiple sclerosis but it can be managed by utilizing combination of therapies. Multiple sclerosis is common in among all populations without regard to age and gender. Ocrevus/Ocrelizumab is a monoclonal antibody used as immunotherapy. It is termed as anti-CD20 monoclonal antibody that targets CD20 marker on B lymphocytes. Currently, there are number of therapies available for the treatment of multiple sclerosis but US FDA approved Ocrevus for the treatment of episodal or recurring for of multiple sclerosis that is less responsive to other drugs. This first drug approved by US FDA for primary progressive multiple sclerosis. This drug is formulated as 30mg/mL (300mg/10mL single-dose vial). However, standard dosage frequency of this drug is 300mg intravenously (IV) for the first time then after 2 weeks administer same dose. For subsequent doses inject 600mg after every 6 months. Dupixent/dupilumab Cost, Side effects, Dosage, Uses for Eczema. The FDA granted the approval of Dupixent to Regeneron Pharmaceuticals, Inc. US FDA approved Dupixent that contains active pharmaceutical ingredient dupilumab for the treatment of atopic dermatitis also known as eczema. This drug is administered in the parenteral dosage form to treat eczema that is not responsive to topical therapy or severe kind of eczema. Ezema or dermatitis is a group of skin disorders that occur due to autoimmune disease, allergic reaction, skin inflammation or infection. Some common manifestations of eczema are inflammation of epidermis, blistering, skin thickening, redness of skin, severe itching and burning sensation. Most commonly affected areas are hand, foot and arms but it might affect the whole body in some cases. As far as etiology is concerned, many researchers believe that environmental allergens, genetic predisposition, immune system modulation and poor venous return act as triggering factors in pathogenesis of eczema but still the exact underlying cause is not yet fully known. Allergic dermatitis or eczema is most common form eczema that is common among all populations without regard to age and gender. Dupixent/dupilumab is a monoclonal antibody used as immunotherapy. Pharmacologically, it has affinity to bind with sub-part of interleukin-4 receptor (IL-4Rα). It causes inhibition or modulation of IL-4Rα that plays important role in inflammatory pathway and release of inflammatory mediators. In such way Dupixent reduces inflammation and severity of disease. There are number topical therapies available for eczema treatment but US FDA approved Dupixent as breakthrough therapy due to promising result in eczema patients. US FDA approved this drug for eczema that is less responsive to topical therapy or severe kind of eczema. Standard dosage strength of this drug is 300mg/2ml in a single dose Pre-filled syringe. Regular dosage frequency of this drug is 600mg (two injections of 300mg) subcutaneously (SC) in first week and then 300mg (1 injection) every other week. This drug is now available in market. According to market survey cost of single pack of dupixent ranges from 1400$ - 1600$. Each pack contains 2 pre-filled syringes of dupixent 150mg/ml. This price may variate with the passage of time so, make it confirm by visiting your nearby pharmacy before purchasing. Bavencio/avelumab Cost, Side effects, Dosage, Uses for skin cancer. The FDA granted accelerated approval of Bavencio to EMD Serono Inc. US FDA approved new drug Bavencio that contains active pharmaceutical ingredient avelumab therapeutically categorized as anti-PD-L1 IgG1 monoclonal antibody for the treatment of merkel cell carcinoma (MCC) a rare kind of skin carcinoma in adults and pediatrics.This is first kind of treatment as immunotherapy approved by US FDA for the treatment of MCC. Though, merkel cell carcinoma is a rare kind of skin carcinoma but it is one of the most aggressive form of skin disorders. Merkel cell carcinoma is also characterized as cutaneous APUDoma. Exact underlying cause is still unclear to somehow but many researchers strongly believed that merkel cell polomavirus (MCV) is one of the leading causes of MCC. 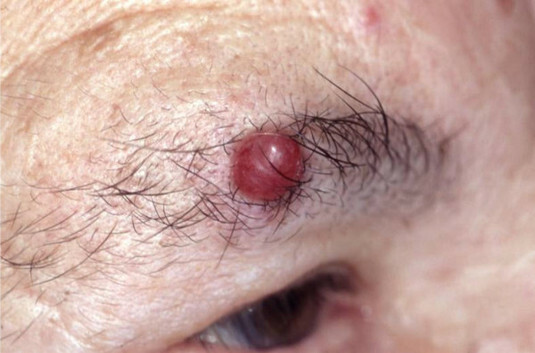 According to a statistics about 80% of merkel cell carcinoma are somewhere connected with polyomavirus while 20% of MCC cases are still unknown as far as the underlying mechanism is concerned. This virus was first discovered in 2008 by a team of scientists at University of Pittsburgh. Clinically this carcinoma is classified as neuroendocrine tumor and common manifestations of this tumor are small painless nodular mass projected upward and can be seen through naked eye. Mot of the times,they are brown to reddish or flesh colored tumors ranges from 0.5cm to 5cm in diameter. US FDA approved this drug for the treatment of rare but highly progressive for of skin carcinoma known as metastatic merkel cell carcinoma in adults and children having age 12 years old or more than that. This is first kind of immunotherapy approved by US FDA for the treatment of MCC. Bavencio/avelumab is administered in the form parenteral solution (intravenously). It's standard dosage frequency is 10mg/Kg after every 2 weeks in adults and children having age 12 years or more. This therapy continues for a long term to revert the progression of disease. In case of severe side effects or unacceptable toxicity drug should be discontinued and immediately consult with your health care provider. Xadago/safinamide Cost, Side effects, Dosage, Uses for Parkinson’s disease. The FDA granted approval of Xadago to Newron Pharmaceuticals. US FDA approved a new drug that contains active ingredient safinamide as an adjuvant therapy for the treatment of Parkinson disease. According to FDA this drug should be used as add on therapy when other Parkinson medications such levodopa or carbidopa does not provide adequate response or symptoms of Parkinson may get worse (off episodes). believed that genetic predisposition and certain environment factors play important in role in pathogenesis of Parkinson disease. Xadago has dual mechanism of action based to increase concentration of dopamine on pre-synaptic cleft by reversible inhibition of MAO-B and of dopamine uptake and creases the induction of glutamate release. End point of all Parkinson based medications is inducing the release of dopamine on pre-synaptic cleft, reducing the degradation of dopamine neurotransmitter or inhibition of dopamine re-uptake. According to data obtained from clinical trials of Xadago/safinamide side effects are categorized as common side effects and less common side effects. FDA approved Xadago for the treatment of Parkinson disease in patients who experience "off episode" e.g symptoms are getting worse even after using Parkinson base medications like dopa drugs. In that case Xadago is helpful and patient can take this drug as add on therapy. Safinamide comes in two strength 50mg and 100mg in the form of tablet (oral dosage form). However, it's standard dosage frequency is 50mg tablet orally once in a day for 2 weeks and then dosage may increase up-to 100mg orally once a day. In case of renal or liver impairment dose titration may required. Xadago is now available in market with two potencies 50mg and 100mg. Cost of single pack of Xadago 50mg tablets (30's) is approximately 690$ to 750$ while cost of single pack of Xadago 100mg tablets (30's) is approximately 700$ to 800$. This price may variate with the passage of time so, make it confirm by visiting your nearby pharmacy before purchasing. Noctiva/desmopressin Cost, Side effects, Dosage, Uses for Frequent Urination. Noctiva is marketed by Milford, Pennsylvania-based Renaissance Lakewood, LLC for Serenity Pharmaceuticals, LLC. US FDA approved a new medicine noctiva with active ingredient desmopressin acetate in nasal preparation for the treatment of frequent urination or overproduction of urine during sleep time (polyuria). This is first kind of drug approved by FDA to reduce symptoms of frequent urination at night time. Urgency to urinate at night time is termed as nocturia while the underlying cause of nocturia is over production of urine at night time is termed polyuria. Polyuria is not the only cause of nocturia it might be due to number of reasons like congestive heart failure, daibetes insipidus, diabetes mellitus, hyper active bladder, benign prostate hyperplasia, drug induced nocturia etc. So, it is the responsibility of health care provider to rule out the underlying causes of nocturia before prescribing this medicine because the drug is effective only in case of nocturia induced by nocturnal polyuria. Basic mechanism of action by which desmopressin reduces the urinary frequency is that it limits the amount of water in urine in renal collecting duct by binding with V2 receptors. According to pharmacokinetics, desmopressing has longer duration of action as compared to vasopression due to slow metabolic degradation. Moreover, it has better safety profile as compared to vasopressin. 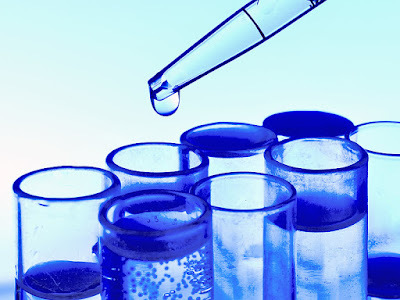 According to data received from clinical trials side effects ranges from moderate to severe. Mild to moderate side effects include nasal irritation or nasal discomfort, sneezing, nasal congestion, dizziness, hypertension. While severe kind of side effects include hyponatremia, cardiovascular events and blood pressure problem. FDA approved Noctiva for the treatment of nocturia associated nocturnal polyuria in adults. Initially start with low dose to minimize the risk of hyponatremia ( low sodium level in serum). This drug is not recommended for the treatment of nocturia in pregnant women. Read about Odactra Cost, Side effects, Dosage, Uses for dust mite allergies. Odactra is manufactured for Merck, Sharp & Dohme Corp., (a subsidiary of Merck and Co., Inc., Whitehouse Station, N.J.) by Catalent Pharma Solutions Limited, United Kingdom. US FDA approved new medicine odactra that contains allergen extract as an active ingredient. It is administered via sublingual route to treat allergic rhinitis with or without eye inflammation. This drug is suitable for people having age between 18years to 65years. Allergic rhinitis is very problem in among all populations without regard to age, gender and physical health. In some areas dust mite is the leading cause of allergic rhinitis found in the house dust, under mattress or carpets, inside the wooden material and in bed sheets. Their tiny structure allow them to hide easily around rough wooden corners, doors or anywhere they found dust. Allergic rhinitis is basically inflammation and irritation inside the nasal passage due to inflammatory response triggered by inflammatory mediators like histamine etc. Basic mechanism of action by which odactra reduces this inflammation and irritation is desensitization to hose dust mite allergens. 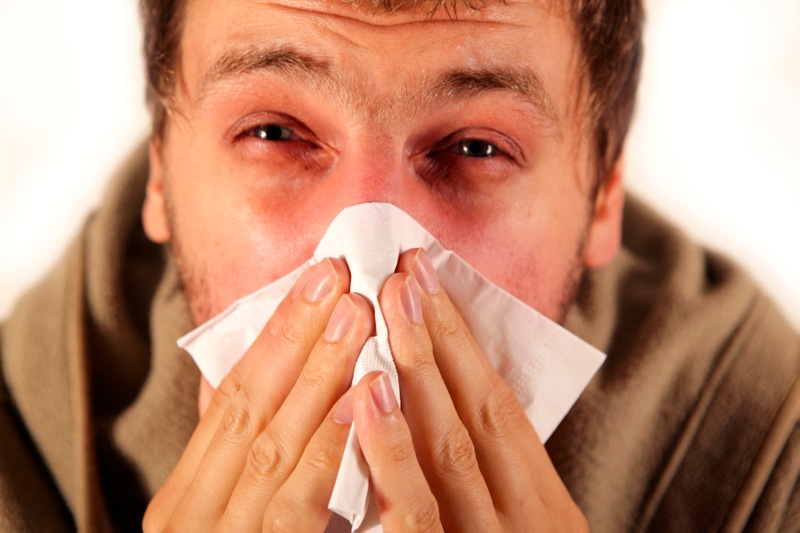 It is some kind of immunotherapy in which desensitization is carried out against the causative allergen. After the desensitization process patient becomes non-reactive or less reactive (hypo-allergic) to specific allergen. FDA approved this drug for the treatment of dust mite induced allergic rhinitis. Though it can be easily administered through sublingual route but due to risk of fatal allergic reaction first dose of this drug must be administered under the supervision of health care professional. Standard dosage frequency of odactra for the treatment of house dust mite (HDM) allergy or allergic rhinitis is one tablet sublingually once a day in adults. Safety profile of drug has not yet evaluated in pediatric and geriatric patients.